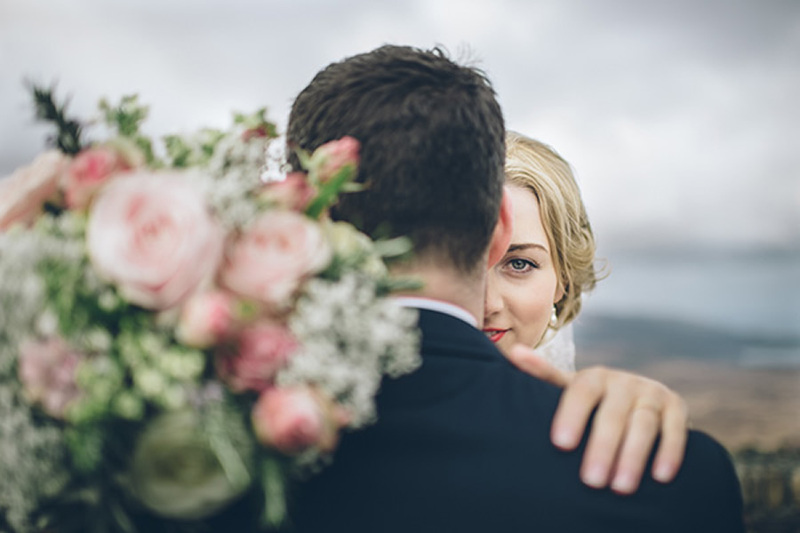 If you’re anything like me then you will have definitely been keeping a watchful eye on the predicted wedding trends for 2017. 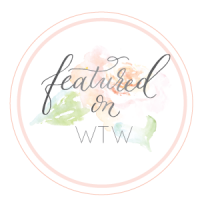 There’s one that keeps popping up on our radar and no doubt you’ve seen it all over Pinterest. 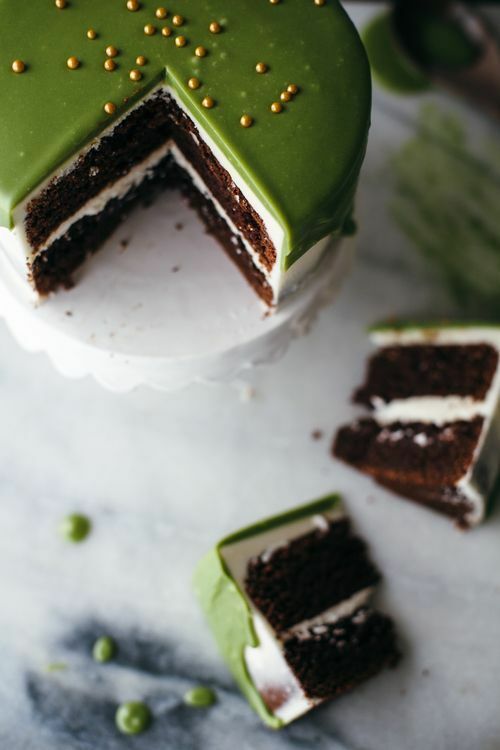 Pantone’s Colour of the Year for 2017 is all about greenery, so what better way to end the weekend than with heaps of greenery inspired wedding ideas. 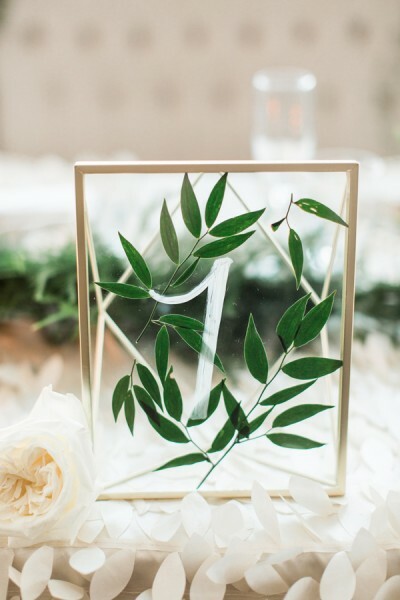 When it comes to your wedding ceremony, there are lots of wonderful ways to incorporate greenery into your decor and details. For instance, decorate your pew ends with a sprig of foliage tied with a pretty ribbon. 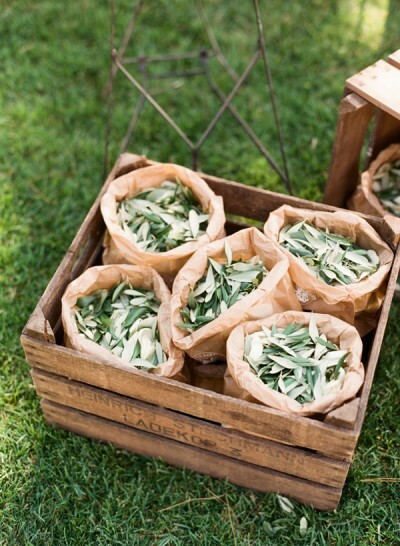 I also love the idea of offering your guests bags of leaves to throw instead of traditional confetti. 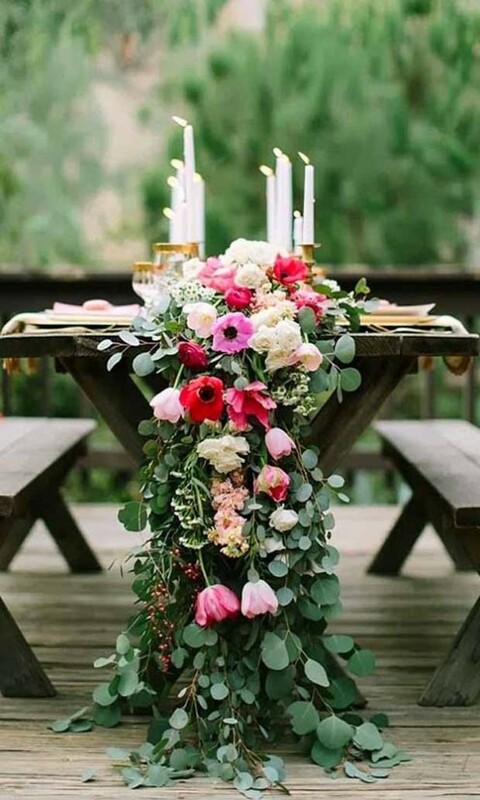 This is a fabulous option for a greenery inspired wedding, and your guests will adore the unusual idea. 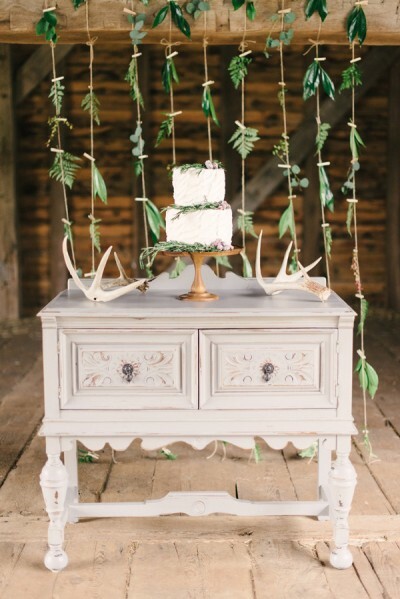 If you’re planning a rustic affair, why not use olive leaves? 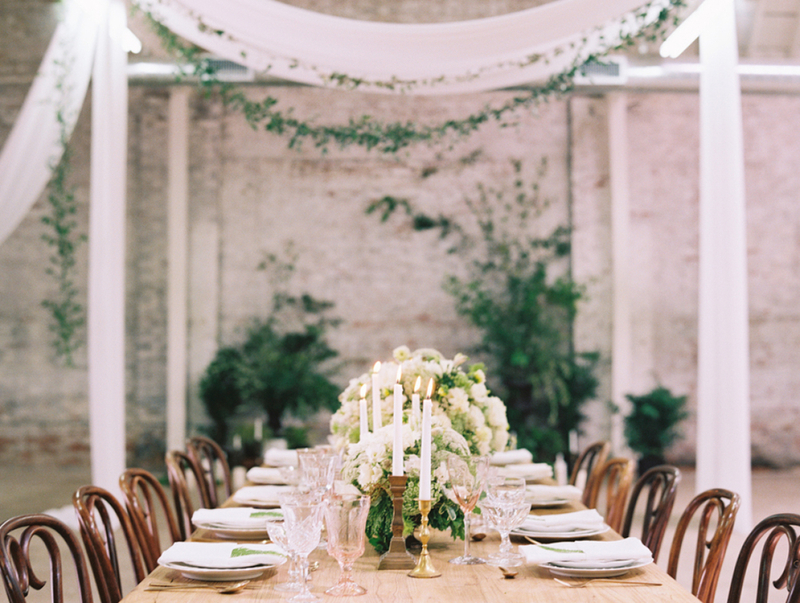 We’ve seen brides and grooms creating confetti tables using mint leaves, basil and lots of other herbs. My favourite wedding table centrepieces are probably those that use an abundance of wild greenery teamed with modern metallic shades. The combination creates a botanical vibe that’s minimalist and on-trend. 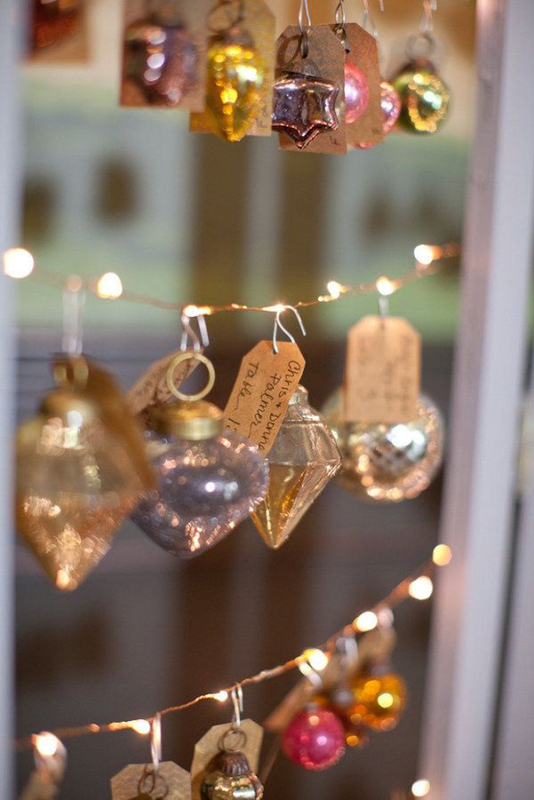 You could nestle silver lanterns in a foliage garland, or fill a copper terrarium with succulents. 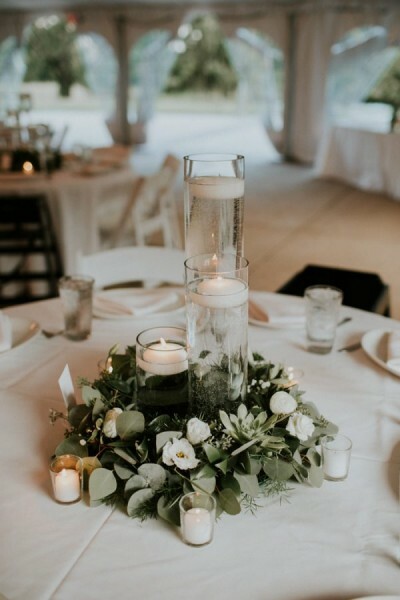 Sometimes less really is more when it comes to weddings, and quite often the simplest centrepieces look the most effective. 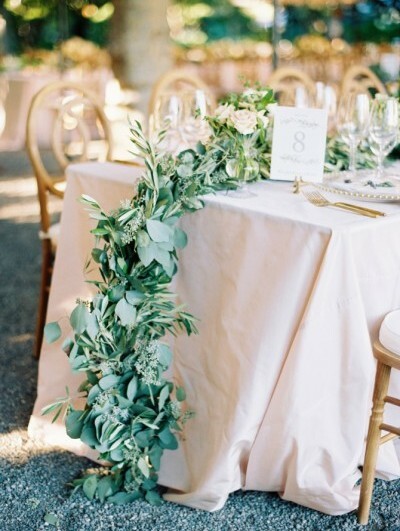 A long greenery garland placed along the length of your wedding tables will look striking and minimalist. You could always add in a few antique gold candlesticks for a dash of glamour. 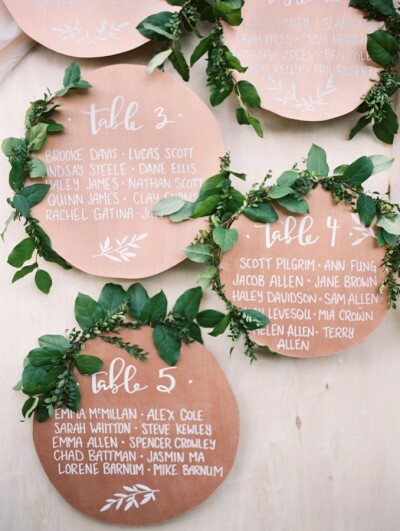 Show your wedding guests to their seats in style by adorning your table plan with lots of greenery. I’m particularly smitten with this copper table plan – perfect for a chic industrial affair. 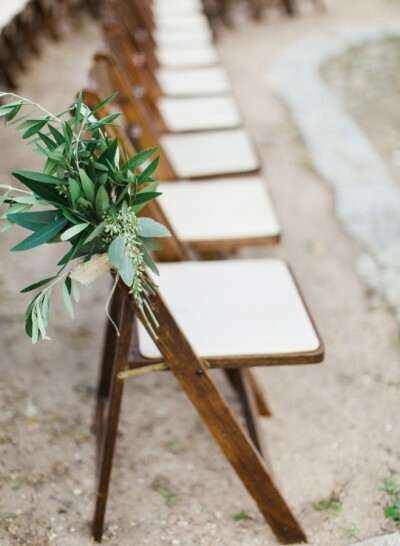 Wooden details and handfuls of greenery are both the perfect ingredients for a show-stopping wedding. 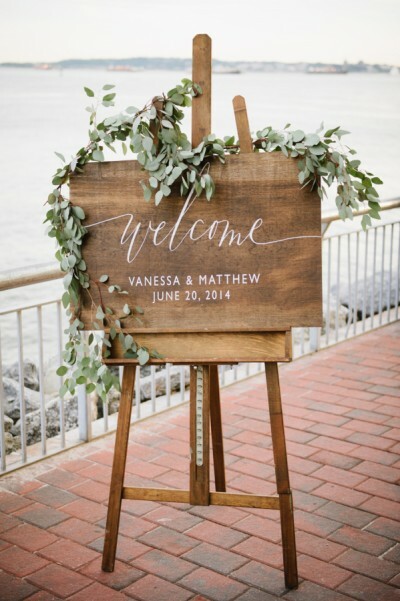 Fill rustic wooden crates with wild foliage and blooms, or adorn a wooden wedding sign with a garland of greenery. We’re huge fans of unusual backdrops at weddings – whether they’re for your dessert table, ceremony space or just as part of your venue decor. If you’re looking to create a greenery inspired wedding backdrop, why not peg lots of different sprigs of evergreen to some twine ribbon? 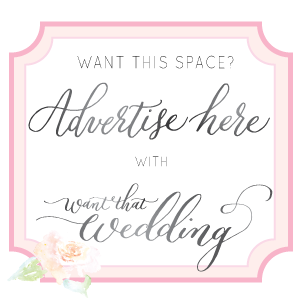 This will make even the simplest of wedding venues look like it was made for this wedding theme. 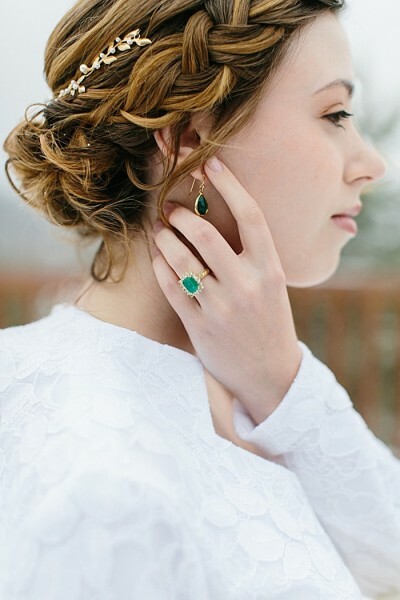 Dazzling wedding jewellery in emerald hues is the perfect nod towards a greenery inspired wedding theme. 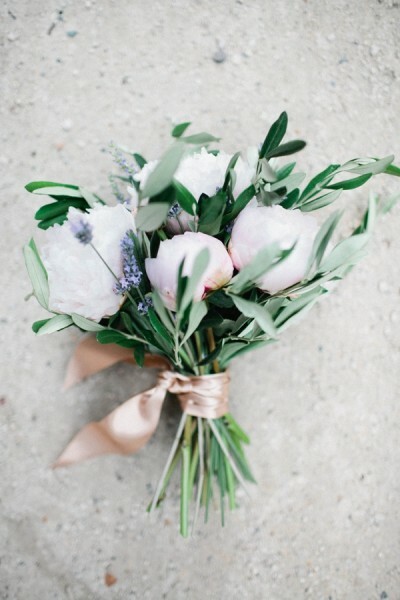 From your engagement ring to your hair accessories – add a fabulous finishing touch to your aisle style with a dash of greenery. 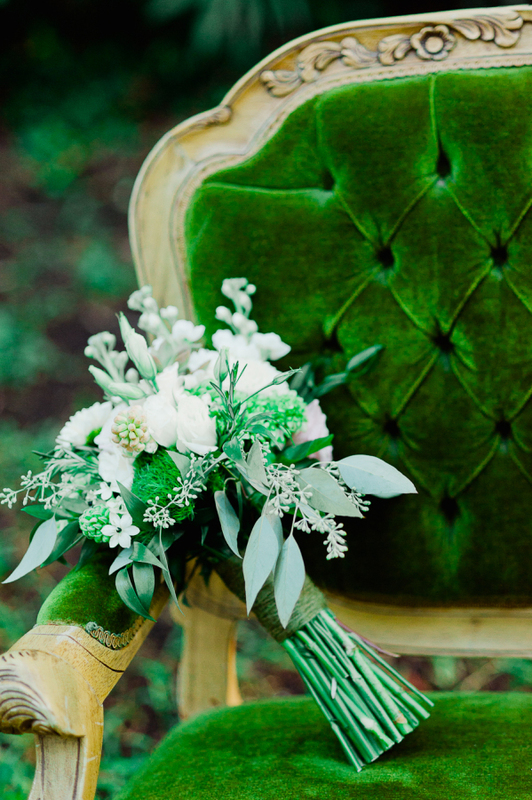 What could be more luxurious than plush green velvet furniture throughout your wedding? Create a cosy lounge area with minty cocktails served on gilded trays. It’s a chance for your guests to sit down and relax during your reception, and they’ll feel like royalty sat in a jade green armchair or couch. 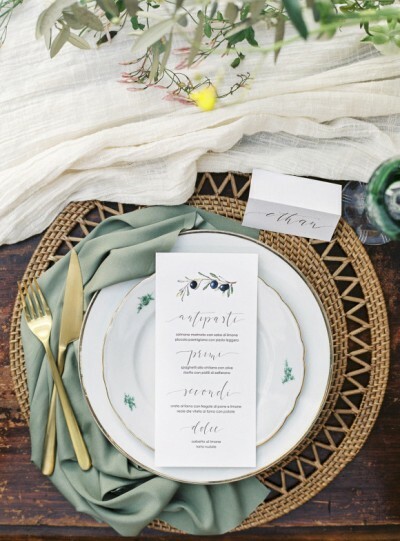 Work chic gold details into your table decor for a glamorous green wedding style. 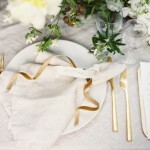 Opt for golden cutlery and goblets paired with green table runners and napkins. 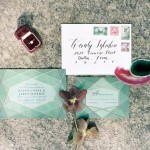 We are smitten with this botanical green stationery suite by A Fabulous Fete on Etsy. 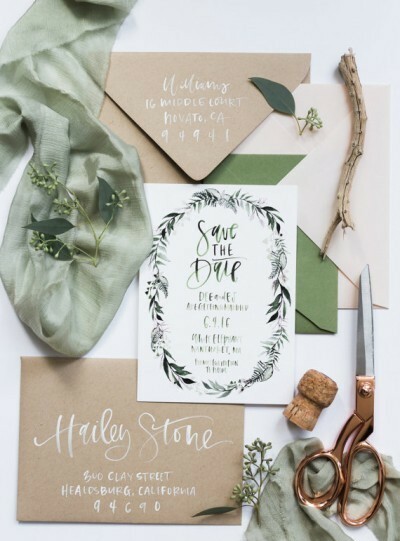 Use greenery inspired wedding stationery throughout your day – from the initial invitations to the place settings. 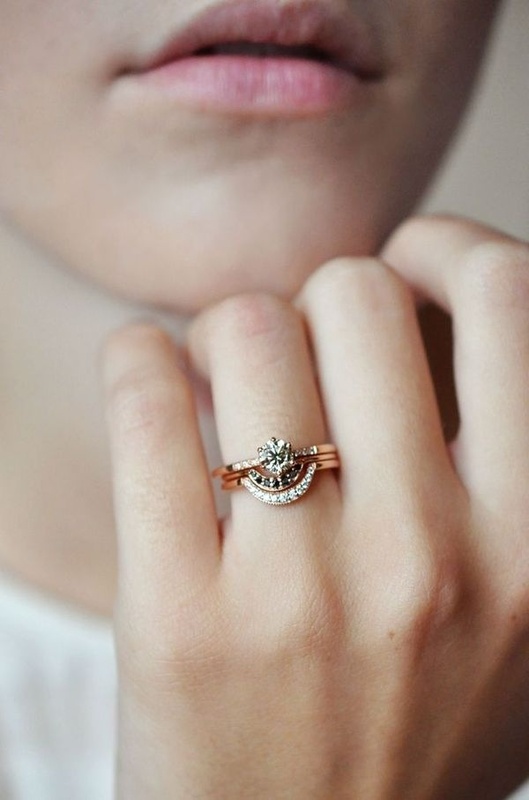 This will make sure your wedding looks coordinated and stylish. 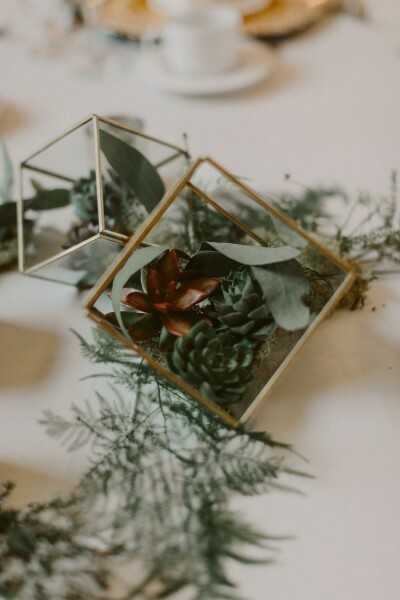 A greenery inspired wedding theme is so versatile and it’s a chance for couples to get completely creative with their wedding decor. 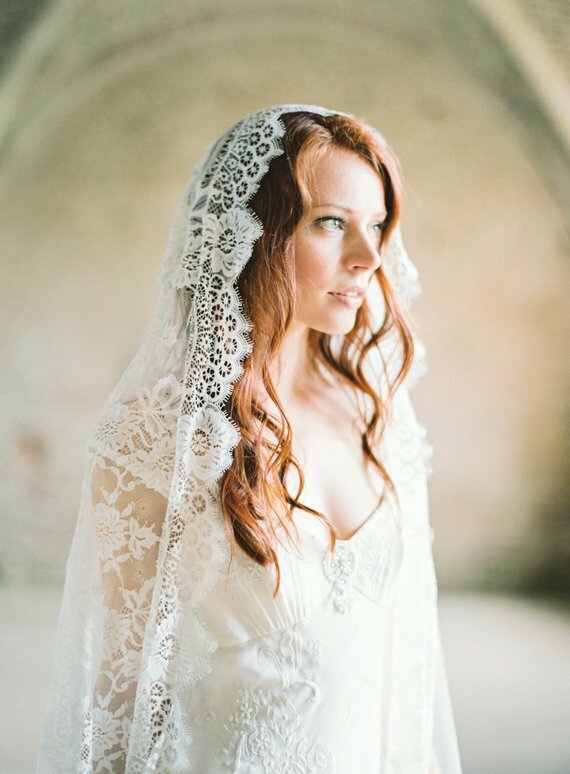 The New ‘Cloud Nine’ Collection from Dreamers & Lovers: Boho Wedding Dresses! 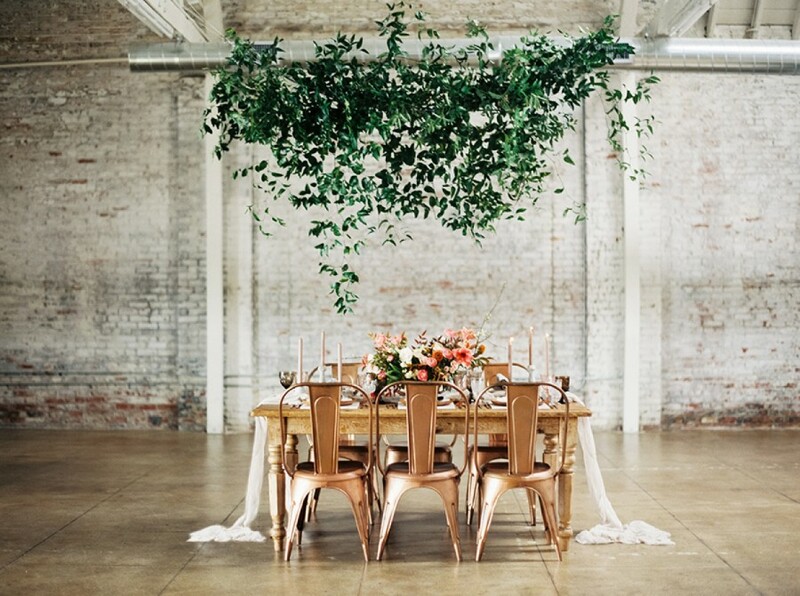 Love the idea of using green leaves instead of confetti! So cute for table decorations. So rich and rustic, love it! Green really is the new black, huh? Green! I love green and I’m so happy about the pantone choice. Never thought of it in a wedding. Fantastic! Love the natural themes, stunning!